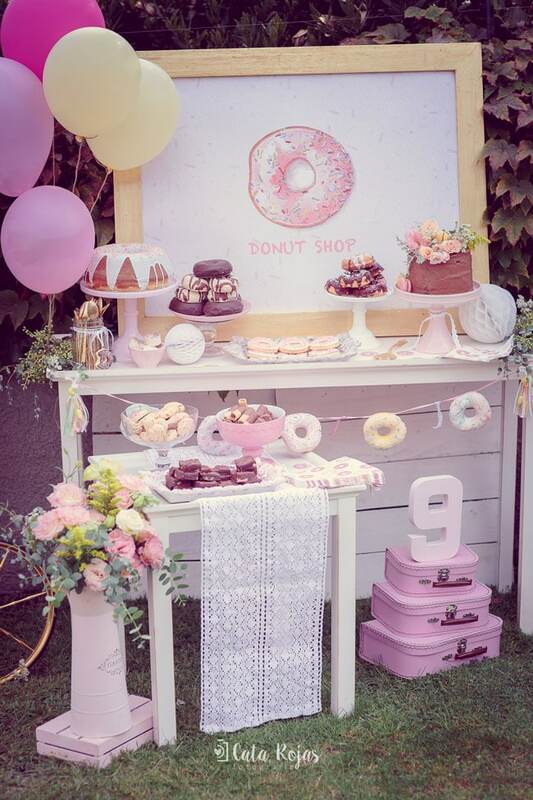 There’s nothing sweeter than a vintage donut birthday party complete with gorgeous decor and yummy desserts! 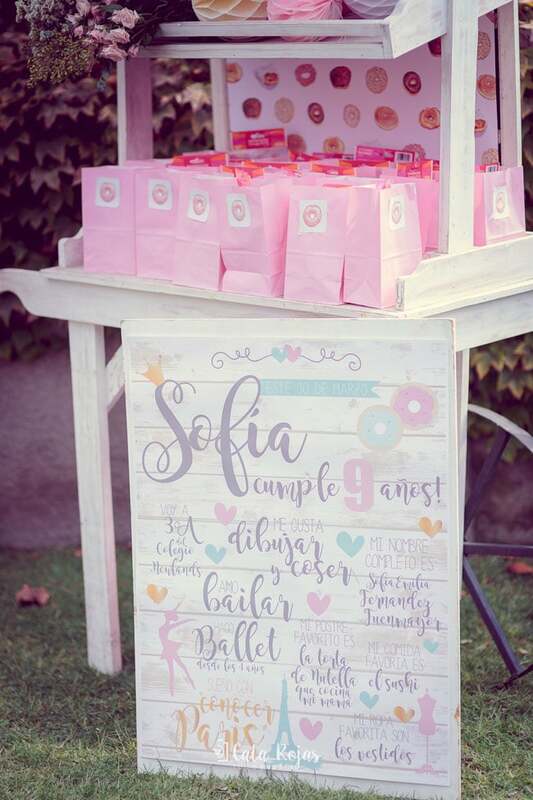 This gorgeous Vintage Donut Birthday Party comes all the way from Santiago, Chile! 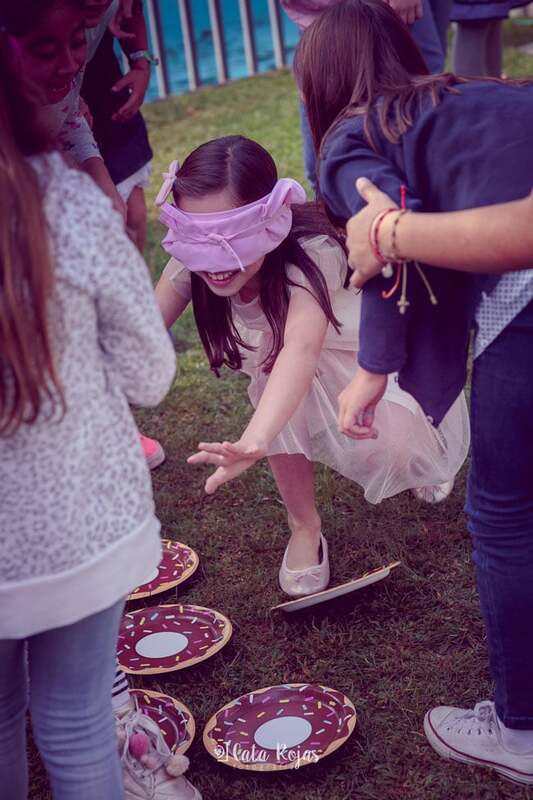 What a lucky little girl who has a Mom who owns a great party planning business to curate this amazing day for her sweet 9-year-old! 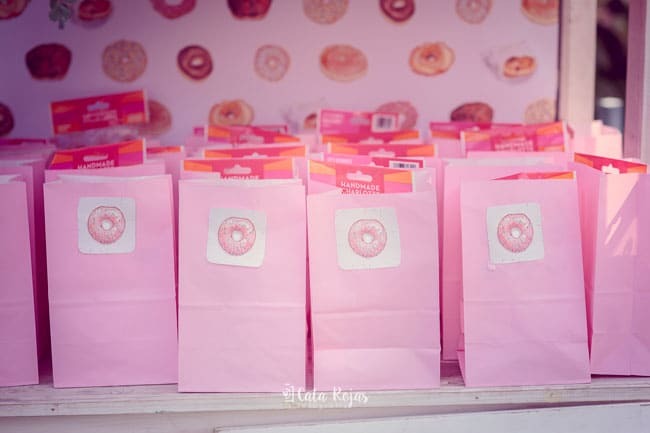 You are going to love all of these donut birthday party ideas! 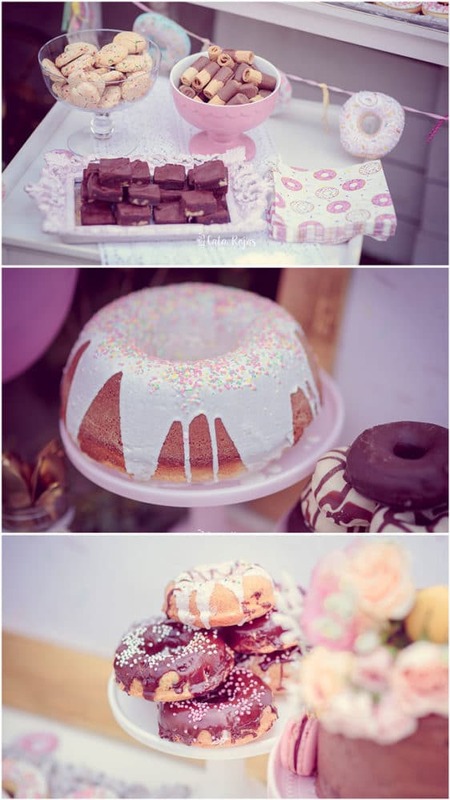 Party by Benica created the best donut birthday party, ranging from yummy-looking desserts to the gorgeous decor that was seen throughout the event. 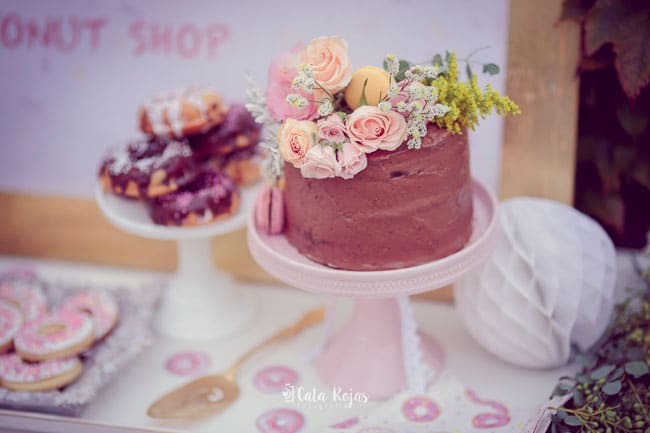 A “donut shop” with an assortment of donuts and cakes was created. 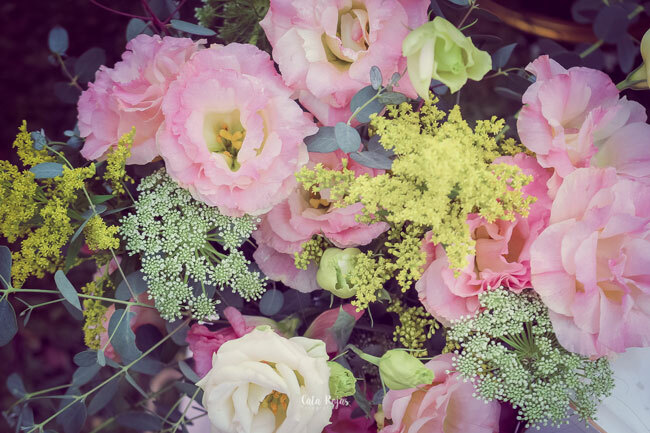 What an amazing spread! 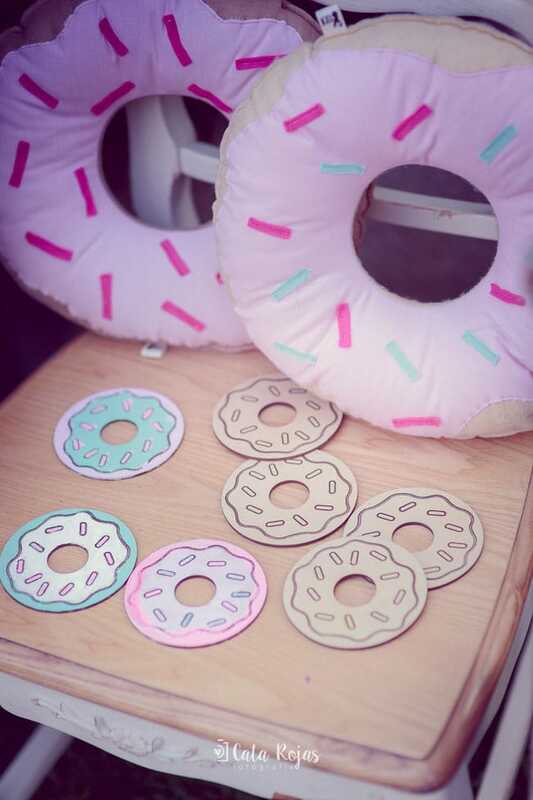 We just love the donut garland on the dessert table from Zarita Design. 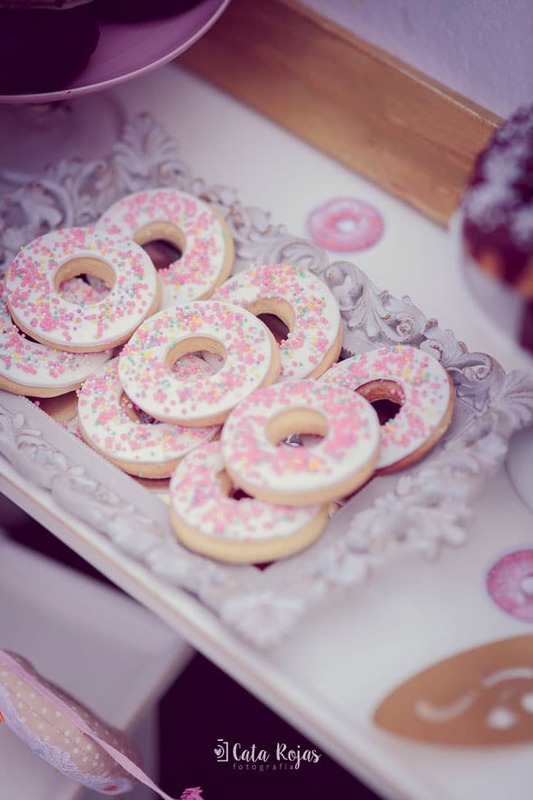 We just loved the desserts at this donut party! 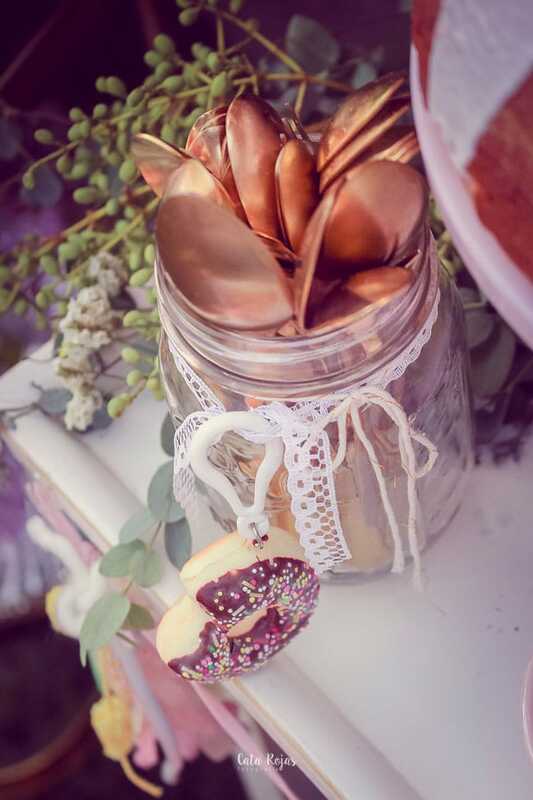 The donut cookies and donut-inspired bundt cake complimented the delicious donuts around the event perfectly! 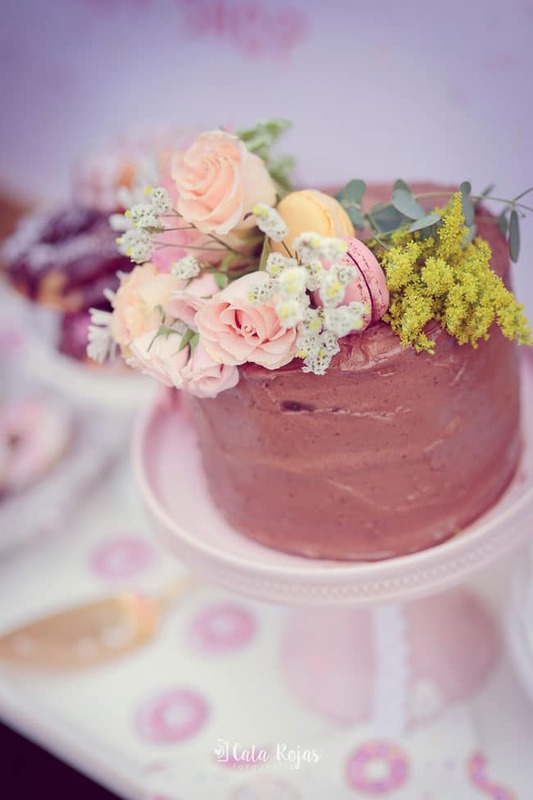 And of course, there was a delicious chocolate birthday cake topped with gorgeous flowers and macaroons. 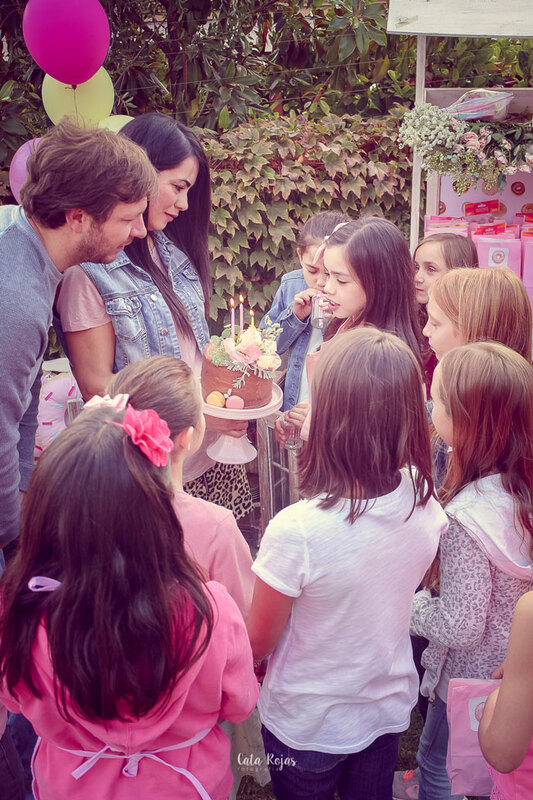 Party decorations included pink balloons, flowers and frosting to match the birthday girl’s girly personality. Party guests had so much fun at craft tables decorating their take-home donuts. Yummy! 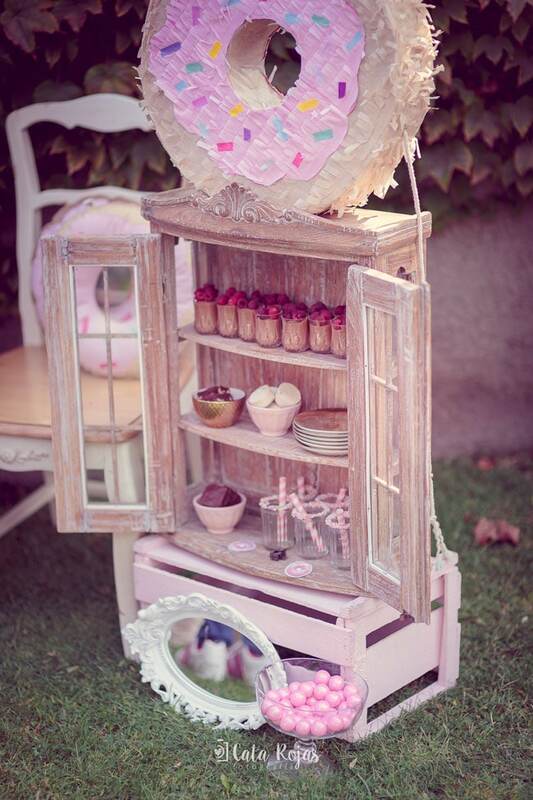 And don’t forget about the fun piñata from POMPIT DecoStudio and great gift bags! 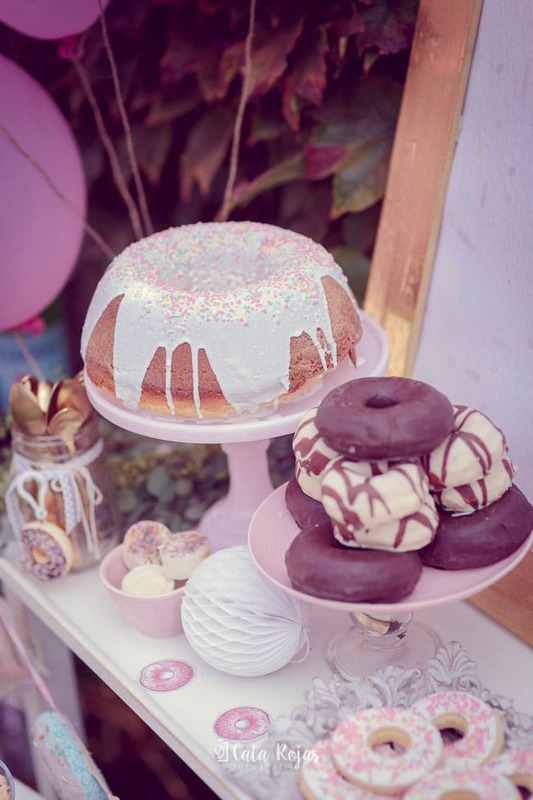 What a fabulous donut themed birthday party! 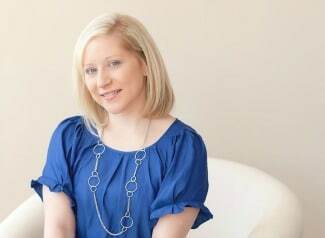 How happy does this birthday girl look? 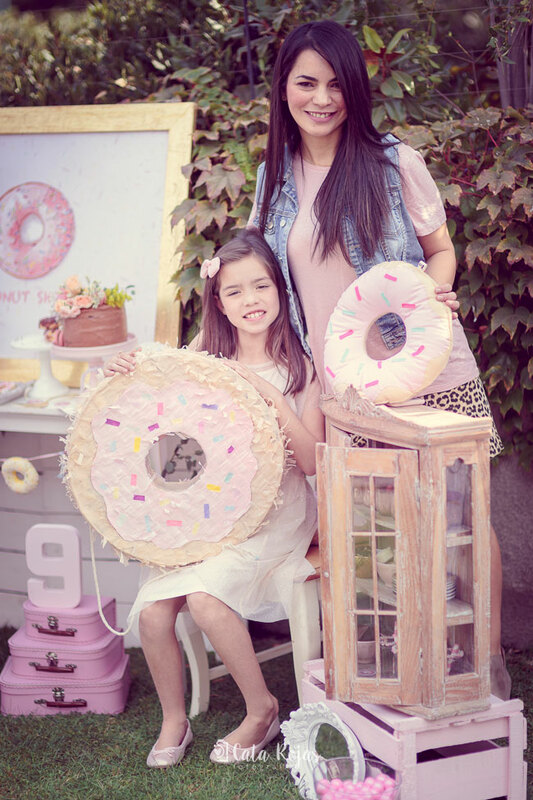 Her entire day was made with this amazing party spread and having her Mom as the creator was the icing on this party’s donuts! Do-nut look away! 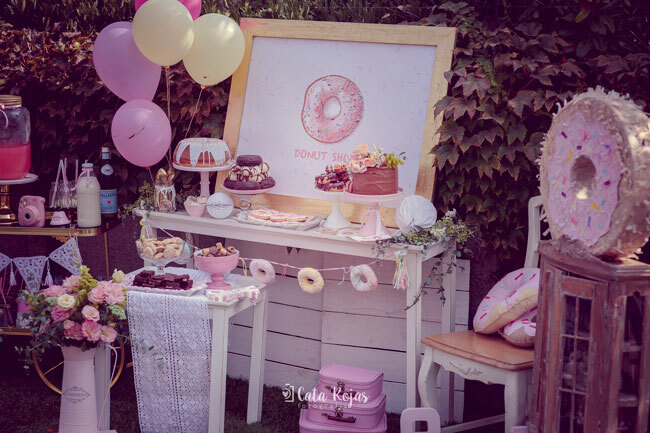 What’s your favorite detail in this Vintage Donut Birthday Party? Let us know in the comments below!